This entry was posted on December 18, 2018 at 1:51 PM and is filed under the bad. You can follow any responses to this entry through the RSS 2.0 feed. You can leave a response, or trackback from your own site. She is all over the place; ToH and now this. she’s made quite a ‘comeback’ if she’s managed to get into a big film each with Aamir, Salman, SRK. She was in TZH as well. Not bad for an off-peak star! 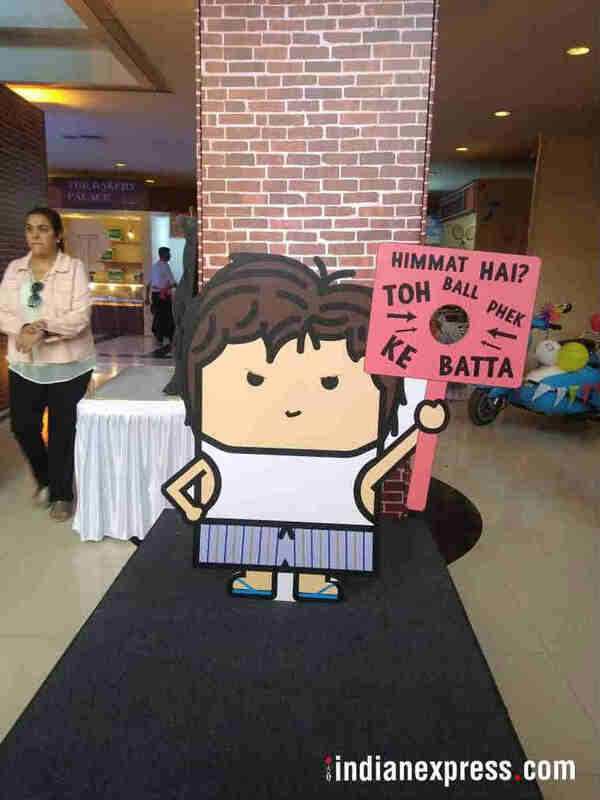 Does the height of SRK seems to be off? He is supposed to be dwarf but the poster seems like he is about 4 1/2 to 5 feet tall? Just googled and avg height is 4′ 10″. Hmm, I thought they were much shorter. At least the ones i’ve seen in real life seems much shorter. Peter Dinklage is 4′ 5″. This guy is in our community and see him about a fair bit…one heck of a filmography. He’s about 4 foot tall. Impressive, worked on some big films. Katrina looks like a giantess if there is such a word. There used to air one serial Baba Aisa Var dhoondo on now defunct Imagine network I think, where Vikrant Massey marries a very shirt girl who must be 4 feet or so in real life. After the cheeky ones with Salman…the hope for Zero is revived for me. SRK is looking fresh. With two of the top actresses, this could be his film. However this doesn’t look like Anand Rai’s movie. Could have passed as YRF or Dharam production. doesn’t give a thing apart from what we aleady know that SRK plays a dwarf. Great poster. I have a good feeling about this film. I think it will be a very good film: Or at least, messy but interesting like SRK’s FAN. FAN had great potential and had a brilliant first half which was completely negated by the second half. I am getting mother son vibes from that picture. Mother is trying to pacify the upset son. 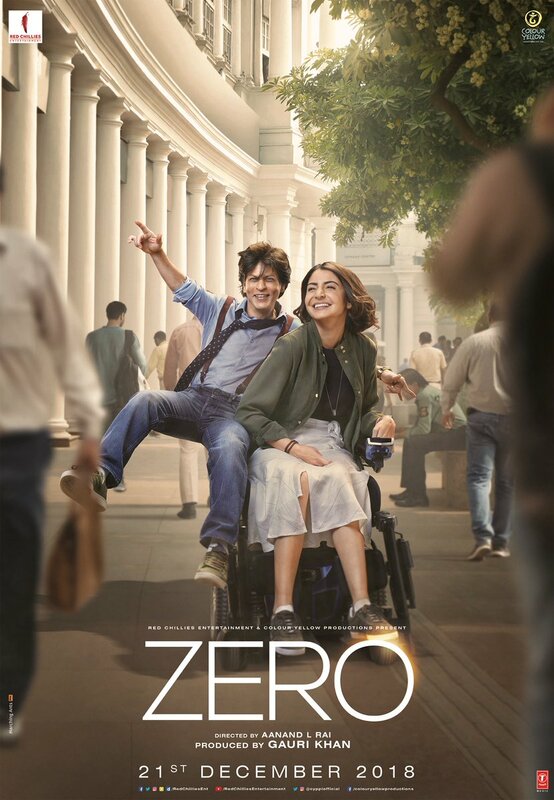 The poster featuring SRK and Anushka — it looks fresh and appealing. The other poster shows Katrina looking like a giantess. Something off about this look. Obviously plenty of vfx work has gone into the film. Zero brings to mind that that other dwarf film from 1989 — Director Singeetam Srinivasa Rao’s Apoorva Saghodharargal in Tamil, remade as Appu Raja in Hindi. Both starred Kamalahasan. They did a fair job with no vfx technology at hand. What I do remember about this film are the emotions it evoked, the melodious and rhythmic music. Appu Raja is dubbed version of Tamil movie. It was not remade in hindi.. you can’t remake such a difficult film, even shooting once was crazy in tamil version with multiple reshoots but Kamal pulled it off brilliantly. 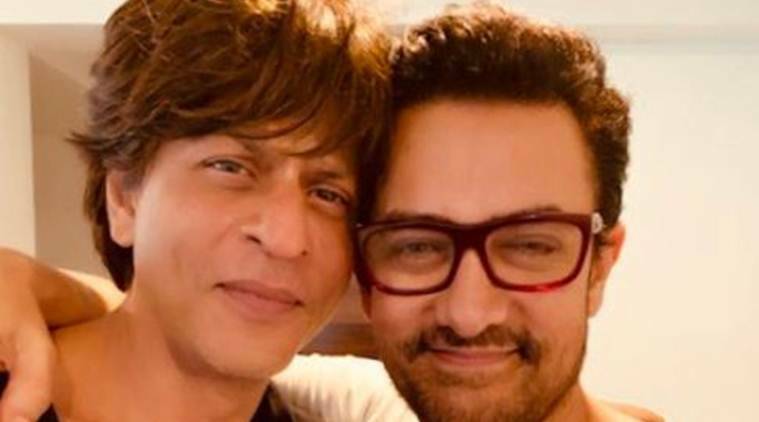 Zero trailer early reviews: The trailer of Shah Rukh Khan’s Zero receives thumbs up from Aamir Khan. Film trade analysts are all praise for the Aanand L Rai directorial. didn’t he tweet similarly for jab harry met sejal trailer? I don’t think Aamir tweeted for Jab Harry Met Sejal. 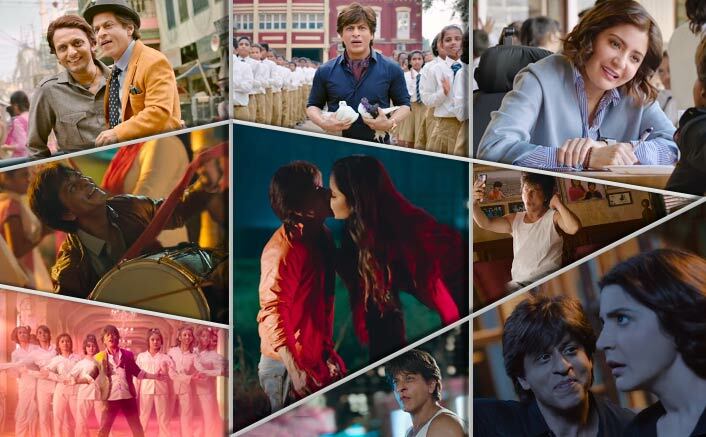 Just In- Superstar SRK will extensively promote #Zero in China which is slated to release out there in the month of March 2019 . Other way round for me, hopefully SRK hasn’t dipped his fingers in here. His best performances are when he isn’t SRK! Guys, I just saw the trailer of Zero. Just one word… OUTSTANDING!!! Congratulations @aanandlrai ! #Katrina is fantastic! @AnushkaSharma is unbelievable! @iamsrk, you have outdone yourself! Can’t wait to to watch the film! It is to be released tomorrow. Then how come? About Faridoon being idiot, that i don’t know. You just need to listen to his interviews and his comments. His questions and comments have only been getting dumber year by year – not that they were any good to begin with. The only advantage is the one he enjoys getting closer to stars through the BH channel.. I am saving you time by the way..so that you don’t listen to him and learn at a cost that’s he’s indeed an idiot the lesson which I am sharing with you free of cost!! His idiocy is matched by Joginder Tuteja! Happy stardom to Shahrukh on his Birthday today. Many happy returns of the day, King. Wouldn’t be a SRK film without a US flag somewhere! why is he garlanded with Rs. in NYC? And a Marc$148-154Kus question – why is he in his undies? We also learnt that Anushka plays a fun, spunky scientist who deals with a physical handicap and refuses to get bogged down by it. 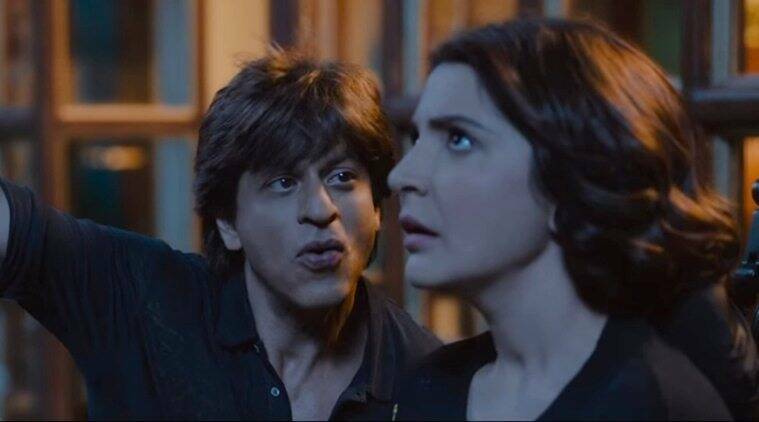 Her lively character definitely has a very special relationship with SRK’s character Bauua Singh, given their proximity as shown in the first poster. The trailer may release at 5 or 6. Anushka getting ready. I am confused – liked some parts…did not like some parts. Unlike FAN, it seems that there is an actual story and not just the VFX gimmick. Will it be really big? def possible. This was the interesting part, oft repeated but SRK has this magic to make it believable. I felt bad when the little fellow is beaten. And when Katrina insulted him. Otherwise I liked the trailer. The song is also good. Anushka may have longer part and more emotional one than Kat. Actually this is a decent trailer until Katrina shows up ! This one actually looks interesting and fun. Some of the dialogues are witty. To be fair to srk, this sort of role calls for a bit of hamming, how else can you essay a fun dwarf role? even bachchan saab hammed it up a bit for paa. Anand Rai wanted SRK to perform like his Raju ban gaya days/Deewana and just before DDLJ phase. From 92 to 95. I think he’s on mark on that. People call it hamming or too much energy but he’s in that phase and seems to enjoying the movie. Everyone in the industry says one thing that SRK was never this concentrating on any movie in last decade. Its too much of mental, physical, emotional project in-terms of actor and producer. Not an easy movie to shoot and complete with all the complications done for the first time in the world to make an actor dwarf in so many huge crowd scenes. Either way, we get the idea of the story now and it depends on the screenplay. Actor’s won’t disappoint be it Srk, Anushka or Kat IMO. I love the poster with Kat! You may use your old ID… I just saw that your comments were going in spam. Why my comments not going through in the box office thread ? I am not sure..something is triggering the comments to be automatically flagged. I saw “Vee” has similar problem. Didn’t like anything about ZERO till now. But some observation why it could work ? 4- There seems to be solid story. What’s your guesses with the new poster? This last poster with chimp is intriguing. I am curious. Is Chimp’s name Zero? and it is looking so real. great vfx here. Looks a male Chimp to me. The advance so far have been very mediocre. Even Kadels/Jaiswals have calm down now. It looks way behind compared to TZH or Sanju. Looks like day 1 could be around 20-21crrs. Kadel is my #1 target this time. He’ll easily expose himself. Advance is messed up! Will impact the release! Show and screen sharing argument between Red Chillies and Anil Thadani Distributor Of #KGF is still going on. 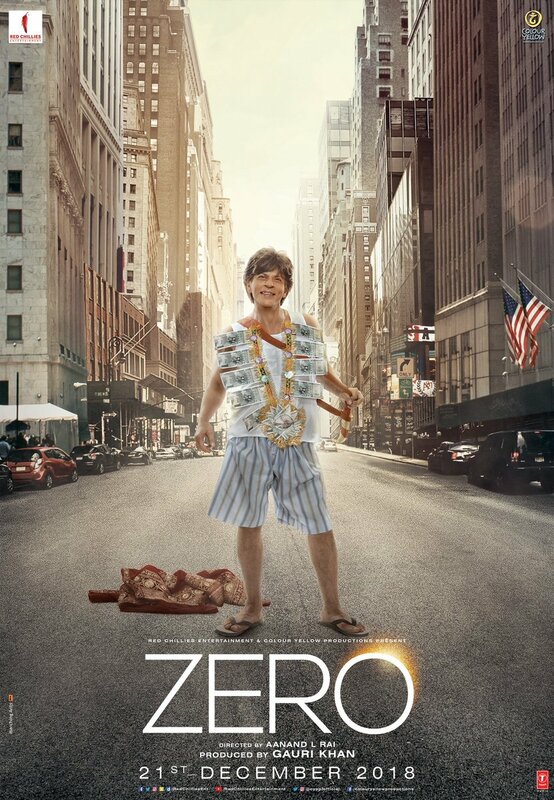 Therefore many exhibitors haven’t started advance booking of #Zero till now. Bollywood Main Koi Kisi Ka Nahi Hai. After yrs missing out Srk movie first day. Missed out even Thugs first day(weekend). I’ll be lucky to catch the movie by Sunday but even that’s not confirmed. By the time I watch Zero, whole WOM and trend will be out. Review is going to play a very very big role with Zero. Its impact will be unusually high because SRK was known to give event films. He still has his fan base. A 4/5 will be enough for me to book a ticket straight away. This was not the case with any other movie. I’ll only watch Salman or SRK films now if they are Bajrangi Bhaijaan level reviews. Zero is disinteresting since theatrical promo. Is another thing if my wife overrides my stubbornness here, very likely! Xmas might be good for film business in India but not in UK. We don’t rush to watch movies during this time and I don’t sense anything remotely special here for Zero. It’s a bit odd for a SRK film. Very few are talking about it. Yes. Even Fan seemed to have more buzz going for it. Raees too. This one inspite of having presence of Kat/Anushka looks quite cold in buzz comparison. SRK truly seems to have hit rock bottom. Neutral audience doesn’t seem to care much about his movies. Raees had exciting promo for sure and an avatar of SRK that many neutrals prefer. Here I again simply say it’s got deja vu storyline but just gimmick of dwarf from promos. Plus is they might be super confident and downplaying things. Srk is much more comfortable with Diya than Katrina or Anushka. Animal is man’s best friend.